13 million working days are lost each year due to work related stress, anxiety and depression. What can our treatments do? Are you tired of being on the daily treadmill of going to work? Work should be fun and enjoyable! Read the following to find how we can help you! Spa @ Work was set up after receiving constant requests for relief on neck, shoulder and back areas due to poor posture while spending many hours at a computer terminal, telephone operating position or at the wheel of a vehicle. Our treatments can be performed during or after work. 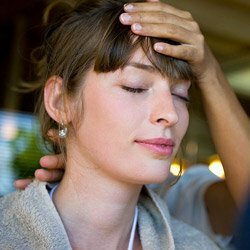 Simply choose the treatment you want to have in your break time and return to work feeling refreshed and ready for anything. All treatments take approximately 30 minutes and cost £20 each. 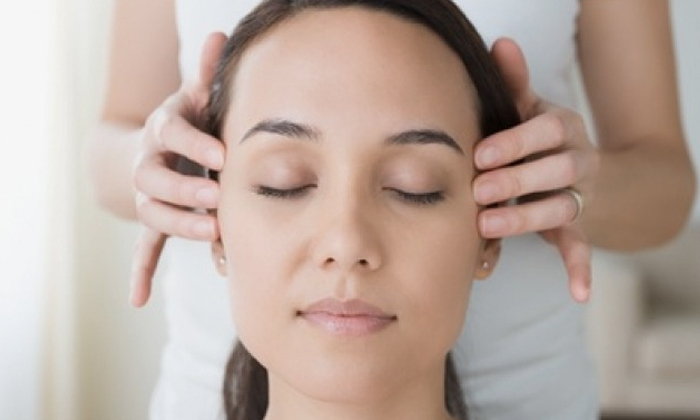 Tackle your troubles head on, reduce stress and tension with this head, neck and shoulder massage. A wonderful and relaxing therapy to help relieve stress in hands and arms that can be caused by repetitive manual duties. Let the heat of the warm stones loosen up tired knotted areas. The feeling is amazing and the results fantastic. Helps drain away blocked sinuses, heavy toxins around the eyes and facial fluid retention, helping to reduce puffiness and wake up the face. A soothing solution for tense, aching muscles in the back, neck and shoulders. Let the heat of the warm stones loosen up tired knotted areas. The feeling is amazing and the results fantastic. Treat your tired feet with a foot spa, foot massage and foot mask with heated treatment. Treat your whole body through your feet with a rejuvenating reflexology session. Cleanse, exfoliate, mask and moisturise your face, a well deserved treat for him or her. Return to work with nails to die for with our manicure or pedicure treatments..
Do you have an office celebration coming up, or did you hit your targets this month and need to reward staff for their hard work? These magical get togethers are a fun and rewarding experience that are guaranteed to impress employees. Get together with 5-6 friends for an evening of grooming and fun! A soothing evening of relaxing treatments and soft ambience. Treatments last approx. 20mins. Will I need a shower after a massage? No, we will remove all oils with hot steamed towels, leaving you feeling refreshed and ready to get back to work. Who organises the treatment requests? This can be arranged by a designated person in your office, who will receive a complimentary treatment as a thank you. Alternatively the HR Department can liaise with us. A managers signature will be required before a booking can be confirmed. We are based in Sheffield and often visit Leeds, Manchester and other surrounding areas. We require a 50% deposit in advance, which can be refunded if you cancel and give at least 5 days notice. This can be paid by cheque or credit / debit card via Paypal. What facilities do we need in our workplace? Some treatments can be done at your desk, but ideally you would have a private office.